/ Scary News: Could Essential Oils Cause Cancer? Scary News: Could Essential Oils Cause Cancer? Essential oils are widely considered not only safe, but medicinal. They’re used in scores of healing balms and medicinal products meant to help people get over illness and discomfort. So it comes as startling news that essential oils might be a factor in causing new illnesses. Several years ago, a child hormone specialist at the University of Colorado at Denver saw similar symptoms in three different boys he was treating. Called gynaecomastia, each boy had been developing enlarged breast tissue over the course of several months. The specialist discovered that each one had come into contact with either lavender or tea tree essential oils in the form of soaps, skin lotions, shampoo, and hair gel. After ceasing use of these products, the tissue growth stopped for each boy. A team from the National Institute of Environmental Health Sciences (NIEHS) later ran tests on the way human cells interact with lavender and tea tree oils. They found that both oils were able to mimic the actions of female hormones, while at the same time inhibiting the effects of male hormones. The result was a disruption to the body’s endocrine system. In other words, the oils mimicked estrogen and acted like anti-androgens. It’s a scary finding, when you consider these two oils are extremely popular in a wide range of personal products. Interestingly, the team of NIEHS researchers reported that the oils did not alter the levels of the usual forms of hormones in each of the boys’ bodies. It just piled on a new factor – one these developing children clearly didn’t need. It is also not known whether the oils would affect other populations in the same way – in particular, young girls, teenagers, or adults. When are essential oils useful in cancer treatment? Bear in mind, the findings on the three boys all included topical use of lavender and tea tree oils. It’s an important distinction, because the use of aromatherapy is a popular treatment for cancer patients, used mostly for supportive care and for help with general well-being. Without study, we can’t assume that inhaling the scents will have the same effect as applying the oil to the skin. Multiple studies have found when the scent of certain essential oils is inhaled, it helps measurably with anxiety, stress, and pain for patients going through critical illnesses. 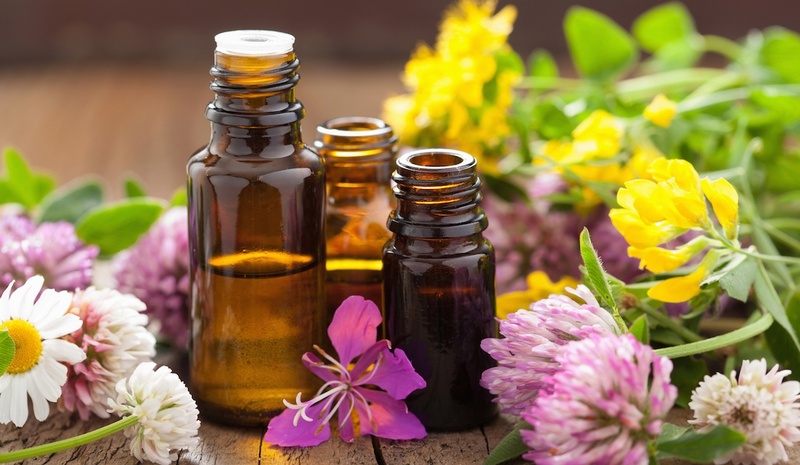 Both aromatherapy and diluted topical applications have low toxicity profiles and have been featured as positive supplements in several clinical trials of patients with cancer. Some practitioners say that breathing the vapors from different essential oils helps to reduce nausea and vomiting caused by chemotherapy. Those vapors also appear to help boost the immune system and improve circulation, among other things. Could the cause of your health problems be right under your nose? Perhaps if you have a hormonal cancer, like breast cancer, or an endocrine cancer such as thyroid or pancreatic cancer, or if any of those run in your family, then it might be worth avoiding essential oils of lavender and tea tree altogether. At the very least, it’s worth acknowledging that the cause of unwanted symptoms or unexplainable physical changes can often be the result of something right under our noses. We may be quick to blame the many hazardous chemicals and toxins in our world, narrowing our eyes at factory smoke and pesticide residue. But perhaps sometimes the true problem is in the lavender shampoo for which we paid good money at the local farmer’s market. I’m not saying you should steer clear of essential oils altogether, particularly if you’re not in the risk groups I mentioned earlier. But it does seem there are some things we don’t know about these substances. They are powerful. Essential oil of lemon, for example – which is made only from the peels – takes something like 85 lemons to produce an ounce of the oil. It is an extremely concentrated extract of this fruit. At present I don’t think enough is known to say which essential oils have what effects and in what amounts. I would not use them on children and teens, in view of the anecdote I recounted at the top of this article. And if you start using them as an adult – and you experience new, unexplainable health symptoms of some kind — consider that the essential oil might be the cause. Or it might not. If you stop using the oil and the symptom goes away, you’ve identified the smoking gun.